Just over a century ago there were no electric lights and no light-pollution. For millennia, anyone looking into a nighttime sky would see the Moon, 5 planets, and stars – lots and lots of stars. Some of the stars appear to be arranged in the shape of familiar animals, regional heroes, or other objects – the Constellations. But one of the most impressive displays was the “Milky Way” – a spray of millions of stars that stretches across the entire sky that we now know is the view of our own Galaxy from the inside! Today, light pollution is filling the sky with light from our cities and towns, and about 80% of the world’s population cannot see the Milky Way. Many of them can see only the very brightest stars. We who live in this region are truly fortunate. We can still see the Moon, planets and stars, and the Milky Way. How can we protect this inherited gift of a dark sky? The International Dark-Sky Association, IDA, was started in 1988 with the Mission: “to preserve and protect the nighttime environment and our heritage of dark skies through environmentally responsible outdoor lighting.” Its Dark Sky Places Program certifies Dark-Sky Communities, Parks, Reserves, and Sanctuaries. Bob Grossman and Gretchen Wells of Norwood contacted IDA and started what became the Norwood Dark Sky Advocates in the spring of 2016. There are currently 60 Dark-Sky Parks around the world including Black Canyon of the Gunnison and Grand Canyon National Parks. 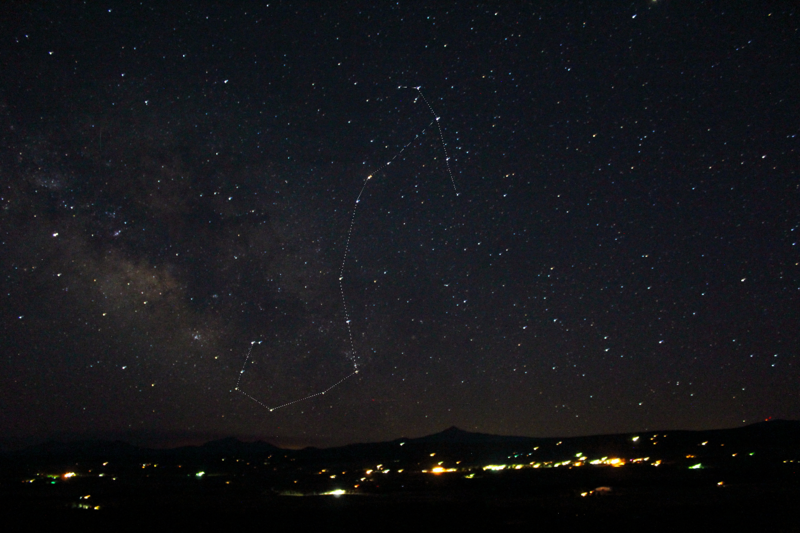 Westcliffe/Silver Cliff became the first Dark-Sky Community in Colorado in 2015. Norwood just became the second - the first on the Western Slope! We’re overjoyed! We are now an International Astronomical Destination. Ridgway and Paonia are now working toward Dark-Sky status. Uncompahgre National Forest, and the towns of Telluride and Paradox are thinking about it. What a great thing it would be to have a "band" of Dark-Sky Places across our region, from the Black Canyon through Paonia, Ridgway, Telluride, Paradox, the Dark-Sky Communities and Parks in Utah, all the way to the Grand Canyon. We think that would encourage eco- and astro-tourism, and save a great swath of beautiful Western Slope Dark Sky. Western Slope Skies is produced by members of the Black Canyon Astronomical Society. This episode was written and recorded by Creighton Wood, Co-Chairperson of Norwood Dark Sky Advocates in Norwood, Colorado. ROCC, Ridgway Ouray Community Council, is presenting “Saving the Dark,” a documentary film produced by IDA at the Sherbino Theater in Ridgway, Saturday, April 6 at 7:00 pm. (Doors open at 6:00 pm). It's free for ROCC members and open to the public for a donation. The film screening will be preceded by Astrophotography and Nightscapes by Black Canyon Astronomical Society that showcases the dark Western Colorado Sky. The film will be followed by a question and answer session.